Car breakdowns can happen to anyone at any time: in the middle of the city, on the way to work, in your own driveway, in a remote area or on the side of a busy road. And they can happen for all sorts of reasons – a dead battery, a mechanical fault, running out of fuel, a flat tyre or as a result of an accident. Finding a safe place to stop can be a real challenge when you car conks out on you. There were 145 breakdown lane/road shoulder crashes between 2007 and 2011. These resulted in 103 injuries and eight deaths. Busy motorways and narrow roads with minimal shoulders are dangerous places to have a breakdown. When there’s insufficient room to get well off the road or you’re not clearly visible until other drivers are nearly on top of you, you can create a serious hazard for yourself and others. In New South Wales alone, there were 145 breakdown lane/road shoulder crashes between 2007 and 2011. These resulted in 103 injuries and eight deaths. Research by the NCIS (National Coroners Information System) examined deaths that occurred after cars had stopped in an emergency lane and found that heavy trucks ploughing into stationary vehicles were the most common kind of incident and that these types of deaths were more likely to happen to males in the 20-49 age group. While some of us are quite capable of changing a tyre under normal circumstances, there are times when it’s safer to call your Roadside Assistance provider to get help. A simple task isn’t always so simple (or safe) when you’re perilously close to oncoming traffic whizzing by at high speed. Stand well off the road – not on it; move behind safety barriers if any are available and it’s safe to do so. Look for the safest place to pull over; park as far to the left as is safely possible. Turn on your hazard lights (and your parking lights if visibility is poor). Check for traffic before exiting the vehicle and avoid crossing the road at all times. Call Roadside Assistance on your mobile phone (or use a roadside emergency phone if one is available and can be safely reached). Follow their instructions when they arrive. Leave your vehicle from the passenger side if feasible, away from traffic. If it’s not safe to leave your car, remain in the vehicle with your seatbelt fastened. Vigilance and constant awareness of your surroundings is crucial to ensuring your breakdown doesn’t result in safety issues for you and other drivers. If you break down in a tunnel, activate your hazard lights and parking lights immediately. Stay in the vehicle with your seatbelt fastened. Major tunnels are monitored and operators will send assistance as soon as they can. Help may take longer than expected because of the gridlock that a tunnel breakdown can cause, so be patient. Obey any instructions given to you by the tunnel operator over your radio. Rest assured, help will come: when you break down in the middle of a tunnel, usually half the city knows about it within a few minutes – especially if it occurs during rush hour! Read more driving articles brought to you by Budget Direct motor insurance. In less populated parts of Australia, self-sufficiency and thorough preparation are even more crucial. While a busy city has its share of challenges when it comes to car breakdowns, at least help is usually close at hand. In less populated parts of Australia, self-sufficiency and thorough preparation are even more crucial. Your mobile might be out of range, there may be little (or no) traffic and you could end up being stuck in your breakdown spot for hours or in rare cases, you may be stuck for days. If you’re planning on driving in remote areas, your vehicle should be in tip-top condition before you depart. Bring a satellite phone or some other form of remote-area communication. Carry plenty of water, extra fuel, essential spare parts and sufficient spare tyres for the intended journey. 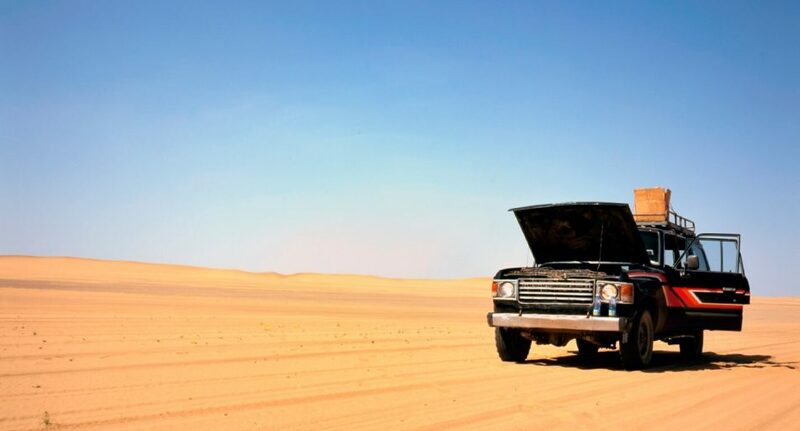 If you have broken down and you are with Budget Direct Roadside Assistance please call 1800 514 448.